Sunflower Beauty: This project was organized by Nadine Urban and Mona Houle. 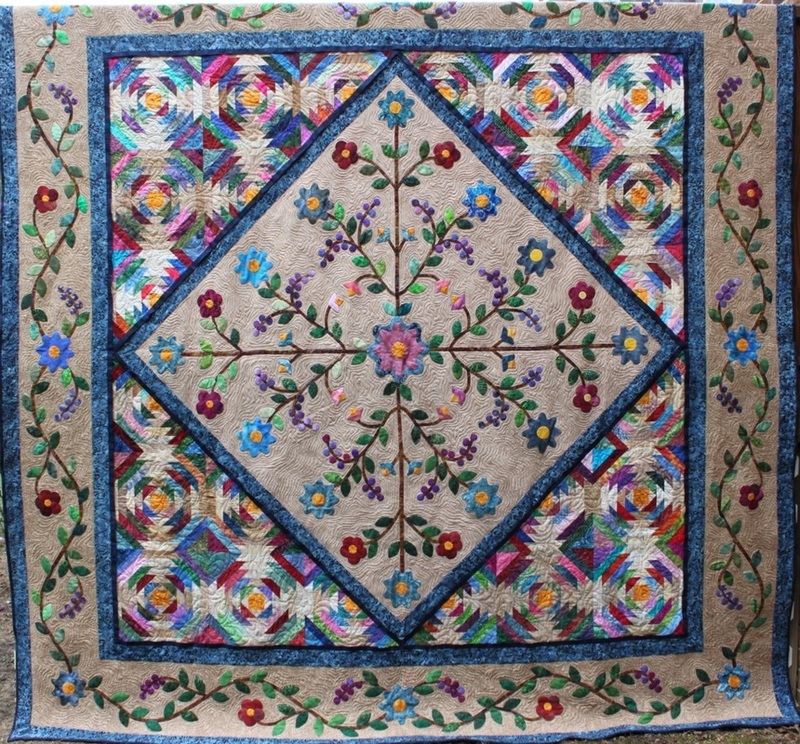 The quilt is based on a design by Karen Kay Buckley with the color palette chosen by Nadine and Mona. 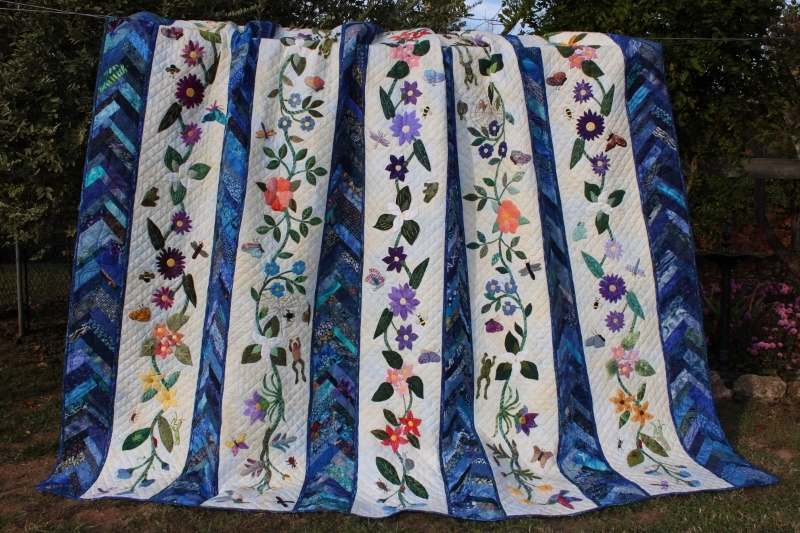 The applique and pieced blocks were completed by individual members. Creative Quilting by Mona Houle did the quilting. Summer's Song was based on a design by Rosemary Makhan and the project was organized by Ramona Houle and Del Horan. 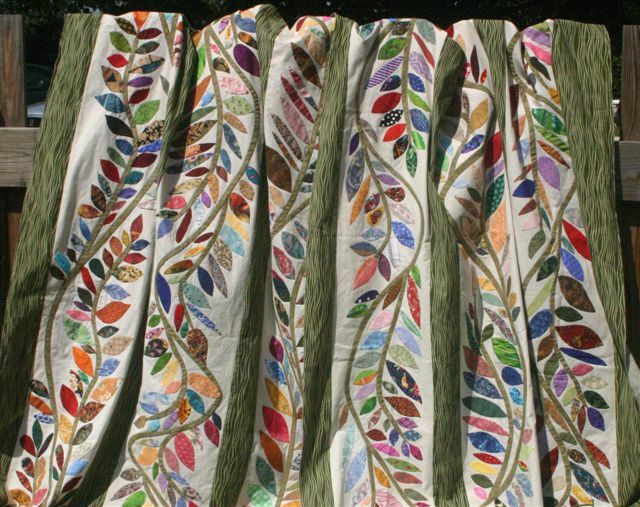 Trailing Vines was designed by members Martha Calderwood and Ann Robertson. Asian Fantasy was designed by Alice and Jerry Hastings. 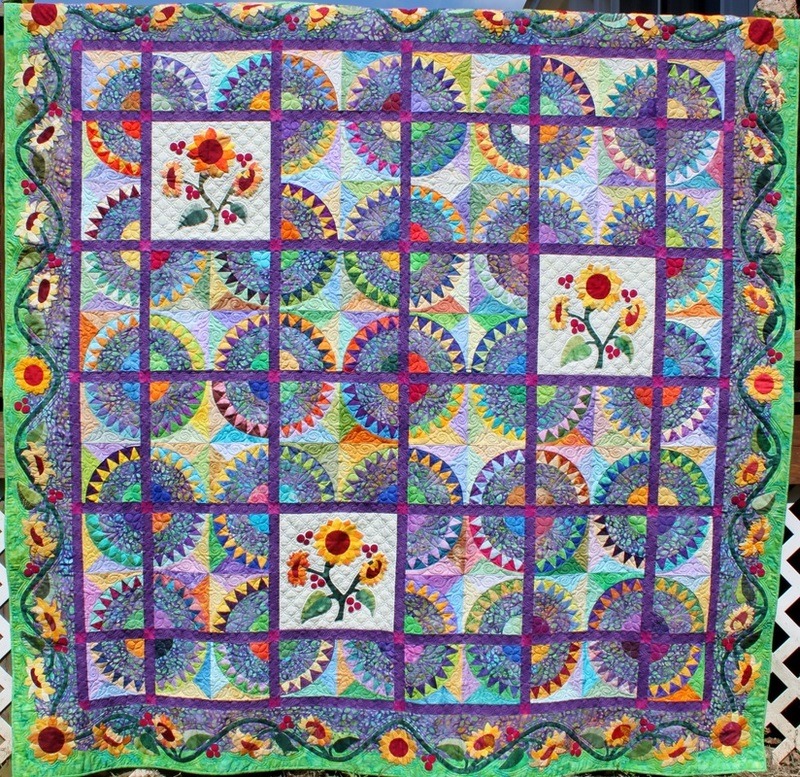 Each block was completed by a guild member. 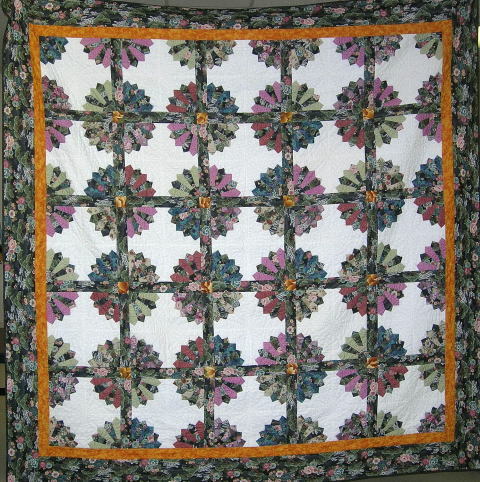 Hand-quilting enhanced the white background, and the border was machine-quilted with a beautiful feather motif. 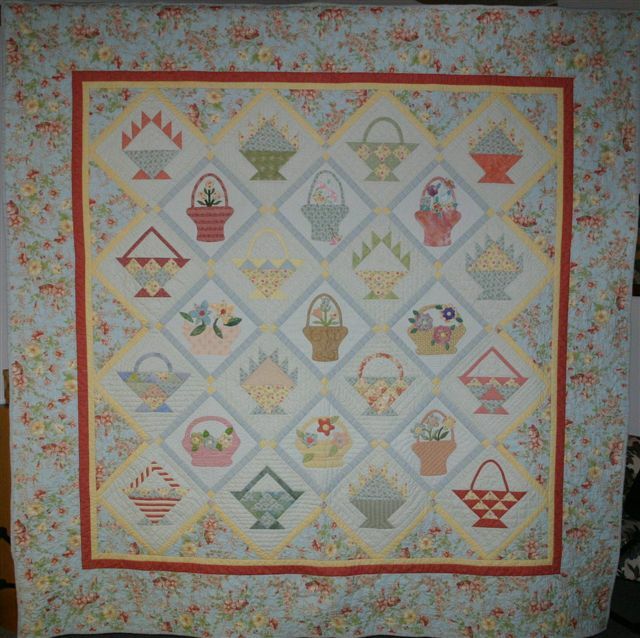 Springtime Baskets from Jefferson's Country Garden was designed by member Janet Saulsbury. 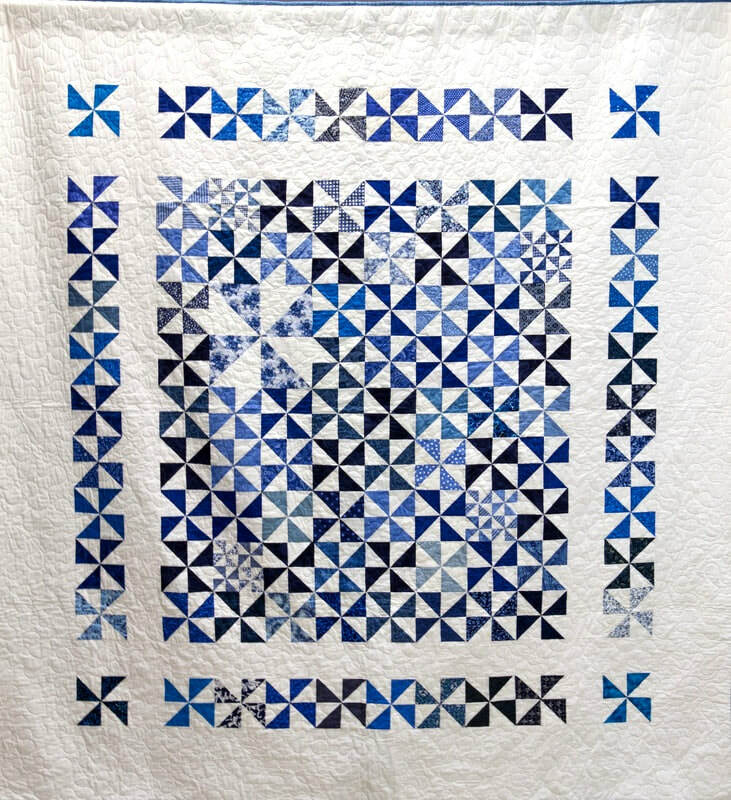 Machine pieced and machine quilted, this beautiful quilt was enhanced with hand-applique and hand-quilting by the numerous talented quilters in our guild.